You can display the date, set on your device, by adding the date widget into one of your zones. Select your designated zone and enter the zones playlist by double clicking on the zone, or click 'Edit Zone Playlist'. 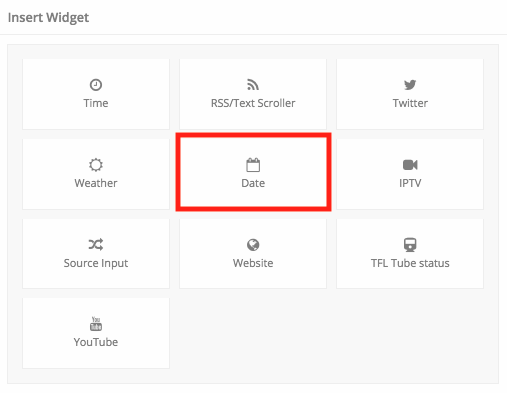 Click 'Widget' and select 'Date' to insert the date widget. 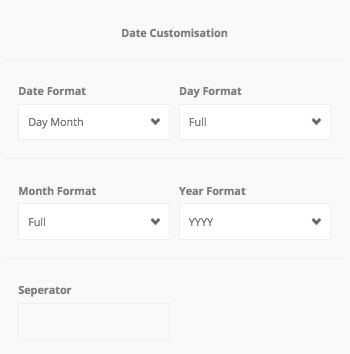 Now that the settings have been configured, you can customise how the date is shown and its formatting settings. Do this by clicking the blue 'Customise' button on the right hand side. Here you can change the following settings, to decide how your date will show. By highlighting the date you can customise how it looks by changing the formatting settings. Things such as the font, font size and colour, amongst other things can be changed.